BEST-Dialogue is pleased to invite applications from qualified candidates for the post of Programme Officer-Communications on term contract conditions up to June 2019. 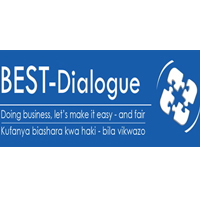 BEST-Dialogue: BEST-Dialogue (BEST-D) is a grant making Fund that supports private sector membership organizations (PSO) with the resources required to effectively influence government policy in the ambition to help improve the ease of doing business in Tanzania. The Fund is governed by an independent Steering Committee and operates as a project under agreement between the governments of Tanzania and Denmark managed by COWI. (3) the officer manages the effective use of resources for services delivered to BEST-D by experts in the field of media production, media training and coaching as well as services for updating the BEST-D website and editing and producing reports and brochures. communication media and annual reports in connection with BEST-D support. » Supporting the BEST-D management team through participation in progress meetings, approach reviews and special assignments with associates. partners and private-sector players that serve to enhance the performance of BEST D.
First degree in Mass Communication or Public Relations and a postgraduate qualification in marketing or communication-related field. Setting: The Communication Officer will work in a small team of 10 colleagues, 5 of which are Project Officers, and with an extended group of associates, partners and service providers. The duty station is Dar es Salaam, Masaki, and the position requires a limited amount of upcountry travel. The position is open as per February 2018. Application: Applications with cover letter and CV should be sent by e-mail to COM HR at cowi@cowi.co.tz with hans@best-dialogue.org copied into the e-mail. Deadline: 18 January, 2018 at 4 pm EAT.